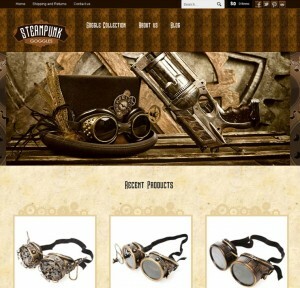 responsive design for desktop and mobile. Consorte Marketing focuses on client satisfaction by building beautiful and functional websites that adhere to best practice Search Engine Optimization (SEO) and advanced web design techniques such as responsive web design that renders well on desktop computers, tablets and mobile devices for the best user experience possible. 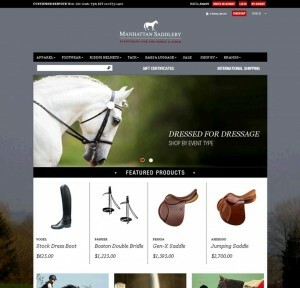 Custom ecommerce with robust functionality including advanced filters and product image zoom. 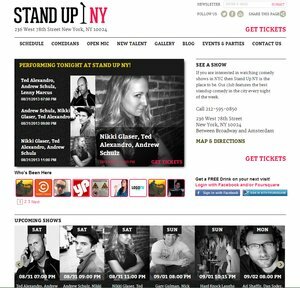 Content website for comedy club in NYC with social media integrations and ecommerce functionality. 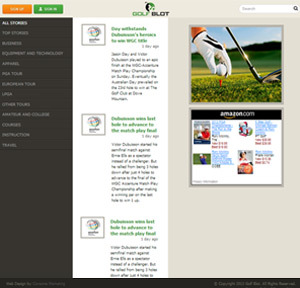 Sports attire and fashion website with ecommerce functionality. 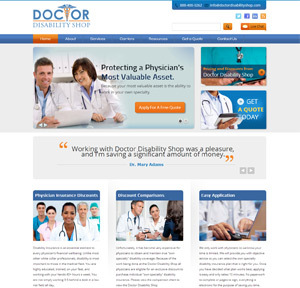 Own Speciality Disability Insurance, with functionality built for online appointment scheduling. 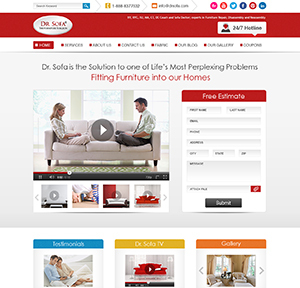 We designed and developed this niche ecommerce website using a responsive design. 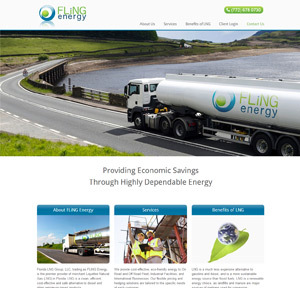 FLiNG Energy is a LNG (liquefied natural gas) distributor located in Florida. 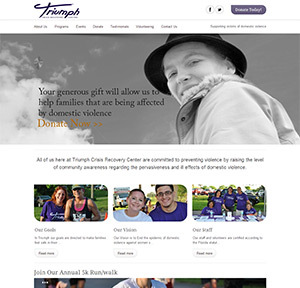 Triumph Crisis Recovery Center is a nonprofit that focuses on preventing domestic violence and increasing community awareness. We care about the work we do. For this reason, we do not build cheap websites. Our pricing is suitable for mid-level companies with some budget, because we’re more concerned with developing a quality product than churning out websites that don’t deliver results. 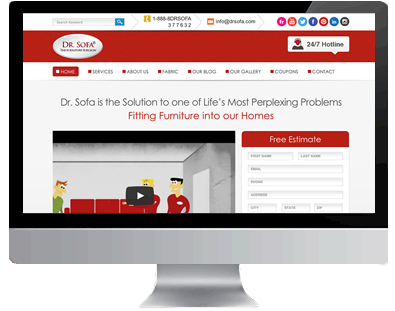 At Consorte Marketing,our experts love building great looking websites, and optimizing them well for search engines is just part of the process. We want to build a relationship with you as a long-term client and business partner. 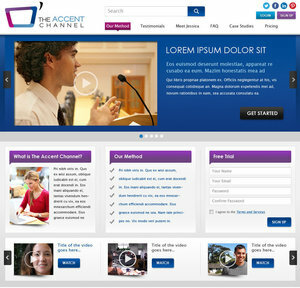 This begins the moment we start talking about your website. You’ll work one-on-one with an online marketing professional who will help you to develop an effective design that converts traffic to customers, and a strategic marketing plan that puts your business in front of new audiences. 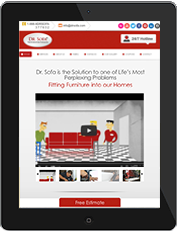 Professional, well-rounded web design experts – ten years of online marketing and web design and website development experience. High level Point of Contact – we won’t leave you in the hands of an inexperienced Account Manager. The person who manages your project will also be your POC, qualified to provide technical details when required and saving you the hassle and delays associated with getting feedback passed through several hands and translated to you like an expensive game of telephone. 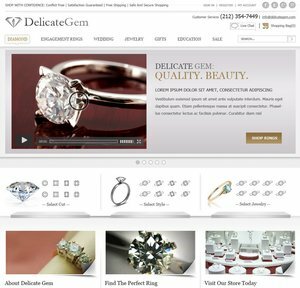 High conversions and increased traffic – we consistently grow our clients’ sales and traffic volume with SEO-friendly websites. Transparency – our relationships with clients are open and built on trust. Friendly and personable – we’ve got the right attitude to work with you through any and all challenges that arise while building and maintaining your website. Strategy – every project begins with a full analysis of your business and the competitive landscape in order to identify opportunities for success, as well as potential threats. Based on this, we develop a custom strategy designed to get you the highest return on investment possible. We love web design; Ecommerce or otherwise – we want to help you do what you love, rather than spending your time on the technical details of launching an effective website; that’s our job.